The snapshot of a word means the most informative fragment of the word. By taking the snapshot instead of the whole, the value space of lexical features can be significantly reduced. From the perspective of machine learning, a small space of feature values implies a loss of information but less data-spareness and less unseen data. 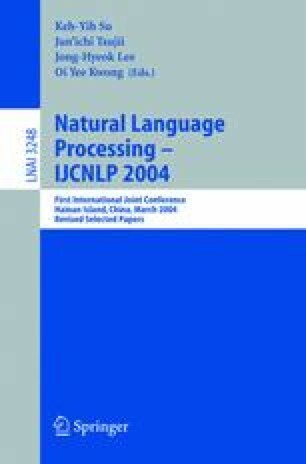 The snapshot of words can be taken by using the word folding technique, the goal of which is to reduce the value space of lexical features while minimizing the loss of information.